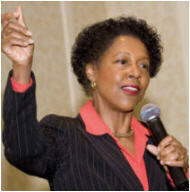 Donna is an exciting Achievement Speaker, Success Skills Trainer, Passion & Purpose Coach™ and Author, who has received numerous achievement awards and counts among her clients the City of Atlanta, the Coca Cola Company, Hewlett Packard, AT&T, and Centers for Disease Control (CDC) and other companies and organizations. Donna feels it’s time to Just Get Serious™ about professional and personal success and she shows you how. Whether it is keynote speeches, training programs, coaching, books or audio programs, Donna's products and services are designed to get results. The Top Ten Reasons to Just Get Serious™ right now! While training is serious business, Donna does not think it has to be dull. Her training programs are filled with creative interactive activities, award-winning training videos, interesting and insightful group discussions, contests, prizes, and more. Delivered in an engaging, yet get-down-to-business way, participants leave inspired and motivated, with practical tools, tips, and techniques they can use to get serious and be successful in the areas that matter most in business and in life. 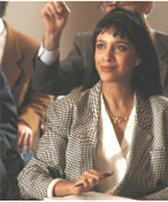 Training programs and speeches are customized to meet each client’s specific needs. If you’re serious about improving the fundamentals of your business, training and motivating your employees and yourself to achieve greater success, it’s time to Just Get Serious™ and contact Donna Satchell at 770-498-0400 or Donna@JustGetSerious.com.